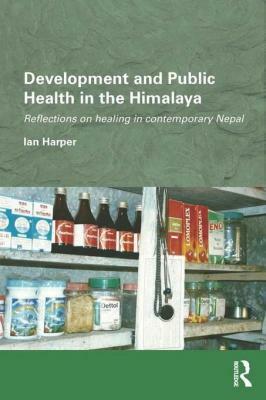 Another new book from Edinburgh Medical Anthropology… plus a 25% off voucher! Download your 25% discount voucher by clicking here: Biomedicine in an Unstable Place_CAP. We are looking for an outstanding candidate to examine the role new forms of data are playing in shaping global health and development agendas. As part of a new initiative by the Economic and Social Research Council (ESRC) we are offering a final studentship, to begin September 2013, to examine the role that a newfound emphasis on data is playing in terms of shaping global health and development priorities, policy and practice – with a particular emphasis on Neglected Zoonotic Diseases (NZDs) in Africa. There is a discernible shift in terms of how we think about aid and its impacts. Debate is growing around the replacement for the Millennium Development Goals, aid effectiveness and how we measure impact. Influential actors such as the Bill and Melinda Gates Foundation are emphasising the need for proper data and quantifiable development targets. New approaches, often derived from public health, such as Randomised Controlled Trials and systematic reviews are increasingly seen as the gold standard for policymakers. Nevertheless, this turn towards ‘Big Data’ in health and development is open to critique, about ignoring context, prompting approaches that can be quantified and putting power in the hands of fewer and fewer actors. This studentship will set out to explore the implications of and experiment with some of these emerging approaches (as well as adopting others such as social network analysis) – with particular reference to NZDs in Africa – and will contribute to an exciting cluster of research around health and development policy, based in the Centre of African Studies. This studentship is fully-funded for four years and will provide an enhanced stipend (c. £15,000 per annum). We anticipate that successful applicants will already hold a masters degree in an appropriate area of study (for example in quantitative analysis, statistics, research methods or global health. These studentships are available to UK citizens. To be considered please send a cv and cover letter to James Smith (james.smith@ed.ac.uk). For medical anthropologists wandering the streets of Edinburgh in search of inspiration –Surgeons’ Hall Museum on Nicholson Street is a goldmine of interesting historical artifacts, often linked to Edinburgh’s long academic involvement in the development of national medical practice. The museum has dedicated itself to archiving items of significance to that medical history, many of which are in the form of body parts chosen for their malfunctions or mishaps (gangrenous feet anyone?). These anatomical specimens are situated alongside exhibitions of the work which investigated and sometimes offered cures for these various pathologies. Last week I attended the museum for ‘Future Healthcare’ – a series of short workshops examining unusual artifacts from the Pathology Museum stores. Amongst these presentations, Ian Macintyre offered a history of ‘The Penman Tumour’’ that seemed particularly poignant. The Pathology Museum hosts the dried and preserved remnants of this osteosarcoma, an enormous four and a half pound cancerous growth, set into the jaw of an unfortunate 19th century boot-maker – Robert Penman. A wooden cast of Penman’s head with the tumour intact sits alongside portraiture of the growth in situ, these having recently been rediscovered in the dusty cupboard of a residential house (beware, spring cleaners!). Penman bore the tumour for five and a half years, until, in 1828 his desperation for a cure convinced Edinburgh surgeon James Syme to attempt an excision. Testimony to a steady hand, Syme cut away the tumour with a scalpel, whilst the patient, awake and seated upright in a chair, endured the operation with only the heady assistance of hemlock. Nowadays the notion of such major surgery, which included the removal of part of the jaw bone, would provoke a veritable hysteria of infection control procedures – miraculously however, the wound, packed with lint and heavily bandaged, healed within a matter of weeks. A portrait of Penman in later life, complete with a large beard to hide his facial disfigurement is also part of the exhibition. Medical anthropology as a discipline can be a little reticent in acknowledging successes in health improvements – perhaps because we are afraid of making assumptions about the propriety of practice or feel as if we would be imposing an impression of the superiority of one medical practice or another. The story of the Penman Tumour served to remind me of the great assistance that biomedical technology has offered in relieving distress – advancements that, presumably, James Syme would have found it difficult to imagine possible – the ability to carefully map the location of a tumour with remote imaging for instance, allowing the rehearsal of an operation before cutting into the body. Not to mention the fact that (in the UK at least – sadly not so in many other parts of the world) it would be highly unlikely that the cancer would have developed to the size of Penman’s deformity – such is the accessibility of medical surveillance services and early cancer treatment. I’ll offer one further note from the workshops – perhaps more of a personal fixation given my dislike of dentistry: Dr Paul Geissler, the museum’s dentistry conservator, offered some thoughts on the ‘Waterloo Teeth’ – not so much an artifact as a phenomenon. Prior to the arrival of modern plastics, or the technology to shape porcelain, the eighteenth and nineteenth century public were plagued by mouths full of rotten and evil smelling gnashers. Dentures in the early days were commonly made of bone, ivory or wood and all very temporary solutions as they are porous and therefore rot quickly. A few of the very poor might be convinced to give up some of their own teeth in exchange for cash; or, with the right contacts it might be possible to obtain teeth from grave robbers or morticians – the price of a tooth from a corpse carrying up to (by todays figures) £100 a piece. Tooth rustling from graves was not technically illegal in the 18th century although not an ideal solution, as teeth drawn from the recently deceased carried a high risk of infecting the recipient with the same disease that carried off the donor. For the struggling denturist The Battle of Waterloo in 1815 suddenly offered a grisly alternative – the fierce confrontation leaving tens of thousands of dead soldiers sprawled across open fields. Apparently their teeth were easy pickings for an aspiring tooth rustler with a good pair of pliers. The removal of teeth from dead soldiers was such a successful venture that as late as 1860 teeth drawn from soldiers of the American Civil War were allegedly stowed in barrels and shipped to the UK. A set of Waterloo Teeth, complete with their gold plated denture surrounds are available to view at the museum. Dr Geissler pointed out that, in Scotland, blame for particularly horrendous teeth could often be laid at the door of the trade in sugar. As early as the 17th century Glasgow became a critical port stop in the ‘Triangular Trade’ of sugar, slaves and other goods running between the West Indies, Europe and West Africa. Perhaps unsurprisingly sugar was an instant hit with the on-shore Scottish populations, with disastrous consequences for dental health. If those unwholesome origins don’t put you off the traditional Scottish tablet (for those out of area – it’s a sort of fudge), then perhaps a glimpse of the nineteenth century drilling implements housed in the dentistry archive might do the trick. The Medical Anthropology Reading Group is back! There have been so many great books published recently in medical anthropology that we have decided to revive the Medical Anthropology reading group. For our first meeting we will read Julie Livingston’s Improvising Medicine: An African Oncology Ward in an Emerging Cancer Epidemic. Those of us in Edinburgh will meet on Wednesday 17th April from 1-2 pm, Meeting Room 4, Chrystal Macmillan Building. If you cannot be with us in person, we will post a summary of our discussion on the blog, and we hope you will join us by letting us know what you thought about the book in the comments. The following books have been suggested for later meetings. Let us know if you have other recommendations! Although I’m an impostor on this blog (I’m more of a sociologist by training), I’d like to introduce an exciting new project to you. It’s called Investigating Networks of Zoonotic Innovation (INZI), primarily involving Lawrence Dritsas, Emma Michelle, James Smith, Sue Welburn, and myself. INZI is a five-year project to explore how sleeping sickness is researched, controlled and treated in Africa since the Second World War to the present day. The project began in 2012. It is based at the University of Edinburgh, and funded by the European Research Council. We’ll have more to say about sleeping sickness as our project develops. But for now, I wanted to mention how exciting Dr Jeevan Sharma and Dr Ian Harper’s talk this Monday was, and how much it thematically overlaps with our work at INZI. The talk – part of their ‘Biomedical and Health Experimentation in South Asia’ project (http://www.bhesa.org/) – described a series of pilot studies in Nepal of a drug called misoprostol, used to treat (amongst other things) post-partum haemorrhages. 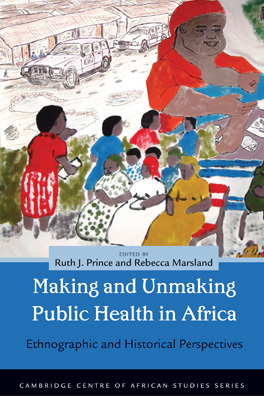 The seminar discussed a brave new world in which there is an ever-increasing appetite for evidence for health interventions, increasingly sharp disagreements over what constitutes acceptable evidence, and increasingly complex relationships between evidence and policy. Most of all, it is a world of privatisation, in which a whole diverse range of profit and non-profit organisations are carrying out what was once predominantly a task for government. It is in mapping these new institutional structures that Ian and Jeevan’s agenda most overlaps with INZI’s. These new ways of doing medical research will be grist for the medical anthropologist’s research mill for many years to come. Medical research, more than ever, is becoming a volatile, contentious, and ideologically charged field: one in which revolutionary, life-saving projects are delivered by rapacious capitalists, and emancipatory knowledge is created by elitist and higly stratified networks. 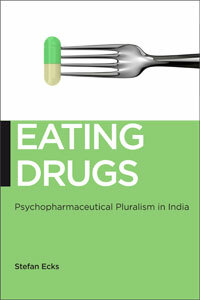 I hope medical anthropologists at the University will find some interesting ideas in Jeevan and Ian’s BHESA project, and in time, in INZI’s – watch this space for future events and publications! Welcome to the University of Edinburgh Medical Anthropology Blog. On these pages we will bring you news about events, debates, publications, and research that is happening here in Edinburgh.